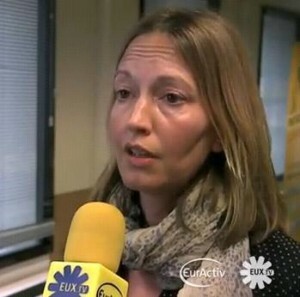 EIA Senior Campaigner Clare Perry was an invited panellist at last Thursday’s EurActiv Stakeholder Workshop F-gases: What role in climate change? She joined about 30 representatives of the European Commission, European Parliament, businesses, industry federations and NGOs for the event in Brussels and took the opportunity to press EIA’s case for the phase-out of F-gases as part of the ongoing review of the European Union’s F-gas Regulation. F-gases are so called because they contain fluorine, and are a family of man-made greenhouse gases used mainly in refrigeration and air-conditioning. More importantly, they are also powerful global warming agents, weight for weight hundreds or thousands of times more potent than carbon dioxide. Altogether, they account for about two per cent of Europe’s emissions and could comprise 20 per cent of global emissions by the middle of the century. The main topics under discussion at the workshop were the importance and challenges of the issue, phase-down versus phase-out and the timeframes for implementing change.